How to remove backlinks to your website from low quality websites and how to Disavow websites? 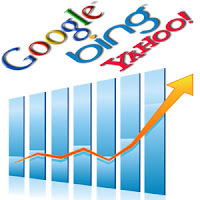 Some webmasters may find their website's traffic dropped significantly after a particular day. The day before the traffic drop, might have received lots of visitors, but after that the web traffic dropped to less than 50%. Periodically Google releases some search algorithms which tracks low quality sites and penalise pages so that they may not appear in top positions of the search results there after and this will lead to low traffic to that website. One factor which affect the your website's ranking is the backlinks that you receive from other websites, espicially from good quality websites having good ranking than yours. Each backlink to your website is considered as a vote to your website, that means those websites which had given a backlink to your's considers your website as a trusted one. Google track this votes and also from where it comes from. If you are receiving a backlink from a spammy or low quality website, this vote can be a disaster to your website. If you receive many such backlinks google consider this as a spammy method and there are possibilities that your website's rank goes down leading to drop in your site's visitors. How to find backlinks from a Low quality website? Click on "Links to your site"
If Your find any of links as a spammy one, try to contact the admin of that website and request to remove the link to your website. Disavowing Links or domains : This advanced feature should only be used with extreme care. If used incorrectly, this feature can potentially harm your site's performance in Google's search results. Google recommends this option only if you believe that there are a considerable number of spammy, artificial, or low-quality links pointing to your site and are causing issues for your site's ranking. Here what you have to do is create a disavow list (the file type must be .txt and it must be encoded in UTF-8 or 7-bit ASCII) which should list all urls and all domains which you wish to be disavowed. It should be listed as one item per line. Disavowing means requesting Google not to consider the back links from the pages of domains to your website while calculating the page rank of your website. Similarly you can also add the spam urls. If you want Google to ignore all links from an entire domain (like example.com), add the line "domain:example.com". Save the file as "DISAVOW.txt" and this should be UTF-8 Encoded. How to upload the list of links to disavow to Google? For this you should be logged in to Google. "If you believe your site's ranking is being harmed by low-quality links you do not control, you can ask Google not to take them into account when assessing your site. You should still make every effort to clean up unnatural links pointing to your site. Simply disavowing them isn't enough." This is an advanced feature and should only be used with caution. If used incorrectly, this feature can potentially harm your site's performance in Google's search results. We recommend that you only disavow backlinks if you believe that there are a considerable number of spammy, artificial, or low-quality links pointing to your site, and if you are confident that the links are causing issues for you. You successfully uploaded a disavow links file (disavow.txt) containing 63 domains and 2 URLs." Here You can download the list , edit it and then upload again. Uploading a new file will replace all previously uploaded ones and It may take some time for Google to process the information you’ve uploaded.